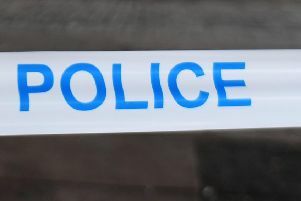 A car was deliberately driven at a man in Glasgow city centre on Wednesday, in an attack police are treating as attempted murder. The 32 year old victim is said to be in a life-threatening condition in Queen Elizabeth University Hospital. He was struck by a dark coloured Volkswagen Golf in Jamaica Street near to Midland Street, at around 12.45am. Detective Inspector David MacGregor, Glasgow City Centre CID, said: “The man was walking in Jamaica St with three male friends, when he became involved in an altercation with another man. “That man then got into the VW Golf and drove the wrong way up Jamaica St and hit him. “The driver then made off north on Jamaica Street, turned west under the Heilanman’s Umbrella, Argyle Street, and then possibly into Oswald St – against the flow of traffic – on to the southside. He added: “Officers remain at the scene carrying out enquiries with street, commercial and private CCTV being reviewed. “There were a number of people in Jamaica St at the time of the incident, a number of whom have already come forward and indeed, who tried to assist the injured man until the ambulance arrived. “However we are keen to speak to anyone who was in the area and who has not been spoken to by police and would encourage them to come forward. “The VW Golf made off at speed from the scene and I am sure that people would have seen it make off or driving through the streets, especially as it was going the wrong way down Jamaica Street and possibly Oswald Street.